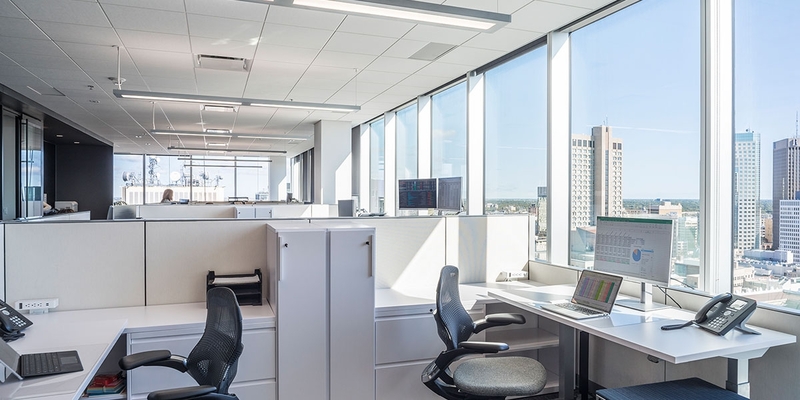 Number TEN, in association with Toronto-based firm figure3, led the design of TDS Law’s progressive new office premises at True North Square in downtown Winnipeg. 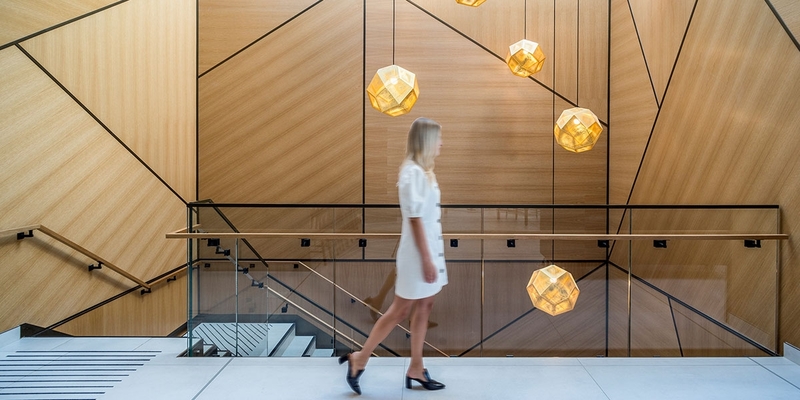 Occupying the top three floors of 242 Hargrave, the 53,000 sq. 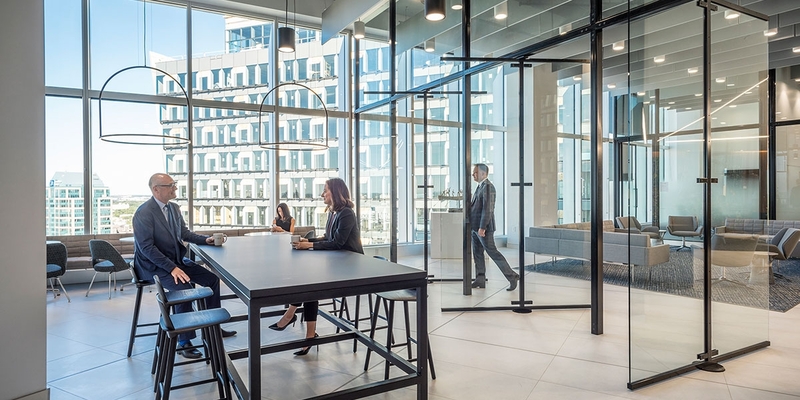 ft. office space aims to energize and redefine TDS Law’s workplace environment with a focus on improving the client experience, enhancing workplace efficiency, and integrating new technologies that address the evolving nature of legal practices in Canada. 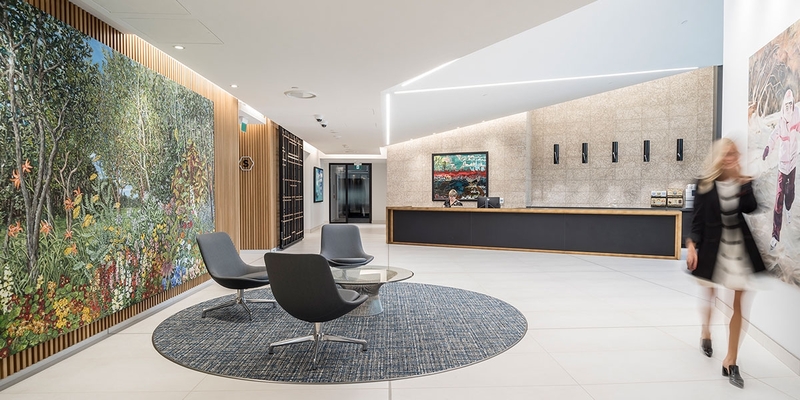 Located on the top (17th) floor of the tower, TDS’ main client reception lobby is an elegant, light-filled space with well-placed skylights accenting a feature ceiling that rises dramatically to meet tall expanses of glazing on the exterior wall, offering magnificent views of the city below. 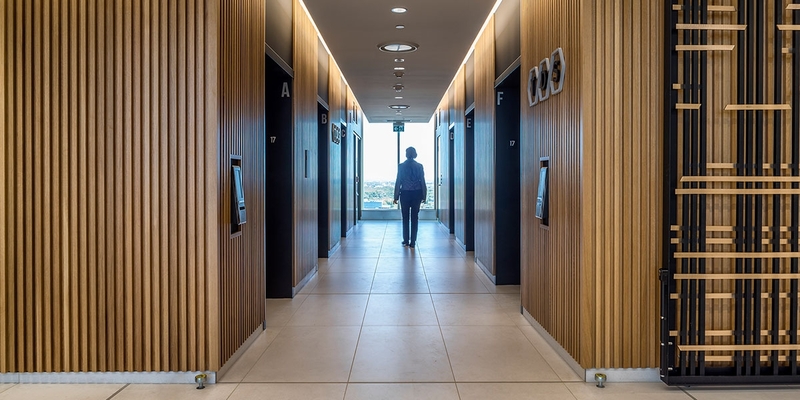 A distinguished internal staircase connects all three floors of office space in an open and transparent manner that fosters integration between the firm’s 100 legal and 120 support staff. 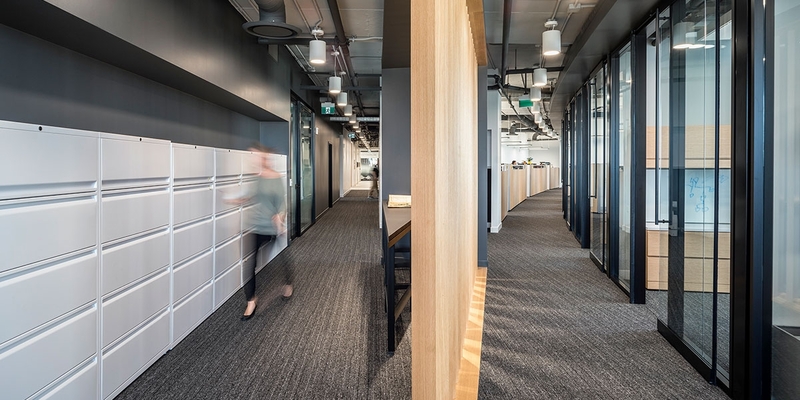 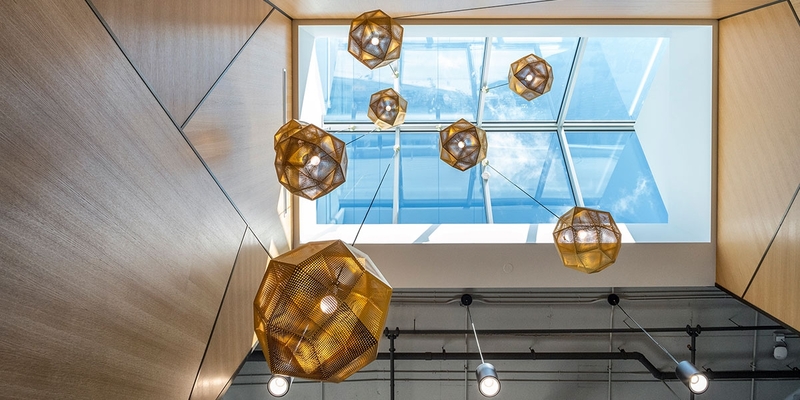 The staircase opens-up into a central community hub called the Northern Lights Room, designed as a flexible multi-use space that will support a range of inter-office communication and socializing functions, as well as after-hours events. 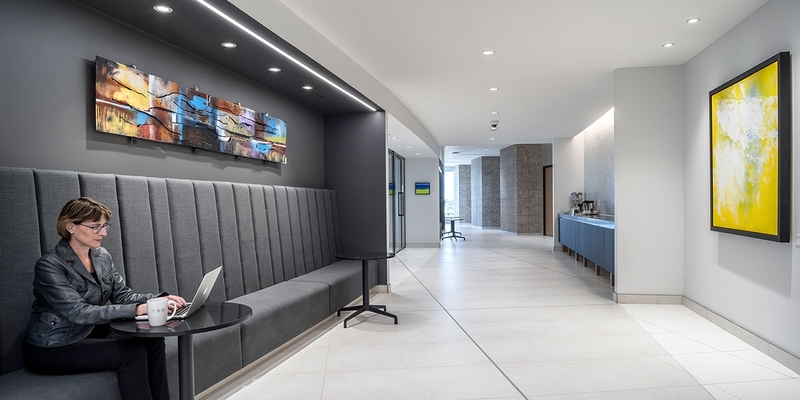 The new legal office is characterized by a variety of collaborative workspaces, innovative communication technologies, high-end conference rooms and versatile office spaces; each designed to maximize natural light and the achievement of workflow efficiencies.